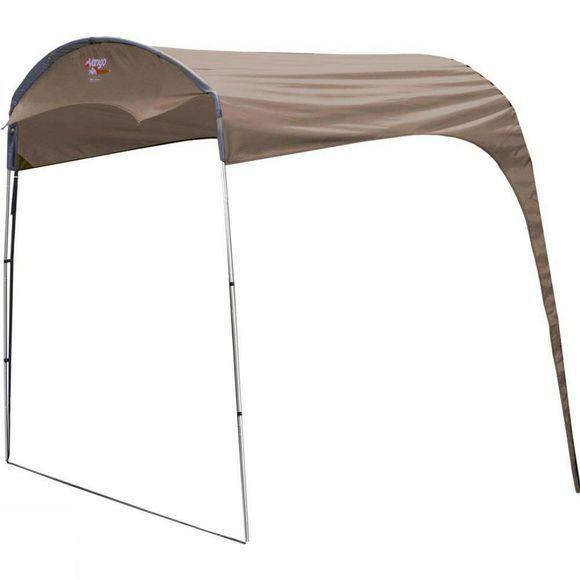 Expand your living space into the outdoors with a Vango Exclusive Sun Canopy. Simple and hassle free to pitch and erect, this canopy is made to measure so it will fit perfectly onto the front of your Vango tent, to provide a sturdy shelter in almost all weathers. Updated for 2017, the Sun Canopy zips fully to the tent, meaning the canopy and tent are seamlessly fitted to eliminate gaps. Please note because of this update this sun canopy will not be suitable for older models.